Stamping Saturday: More matte flakies! 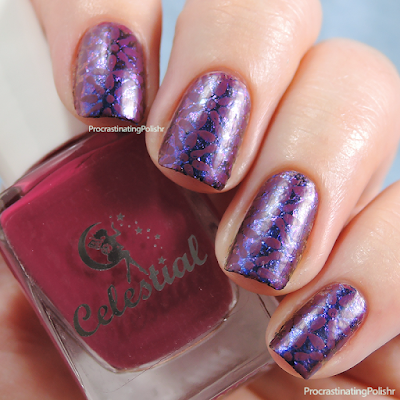 A little while back I did some stamping over the amazing Cold Fusion from ILNP and it was kind of glorious. I've been dying to try it again, and being laid up sick this weekend I figured it would be an easy but awesome stamped mani for this week's linkup. 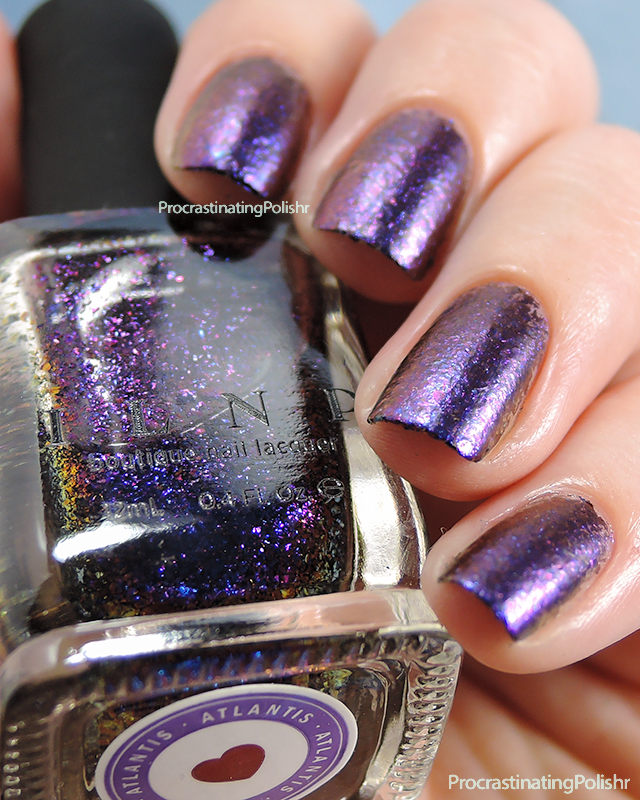 This time around I used ILNP Atlantis as the base - of course I had to get some solo shots because I hadn't swatched it before! I like to sponge these on for full coverage - three sponged coats is enough - using a liquid latex barrier to stop getting multichrome skin. As is written into nail polish law, I matted all the flakies. A matte top coat (I used Satin Finish from Hit the Bottle) really brought out the pink and gave this a bit of a scattered effect, whereas glossy you see more of the traditional multichrome bend. 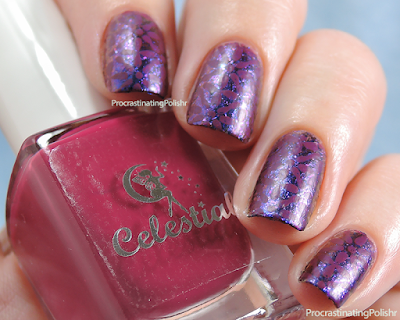 But again, unsurprisingly, I'm loving using these kinds of polish as a base for stamping. This was such a fuss free mani, my only wish is that I'd used a different stamping polish. I really liked the contrast of a creme over flakies last time I did this, and this berry pink from Celestial Cosmetics is just a hint too dark to show off the stamped image from Pueen plate PUEEN23. Don't forget to check out the other Saturday Stampers!